Coming to Gandhi's defence, RJD leader Tejashwi Yadav said he openly says Sushil Kumar Modi is a thief and he can sue him for defamation as well. 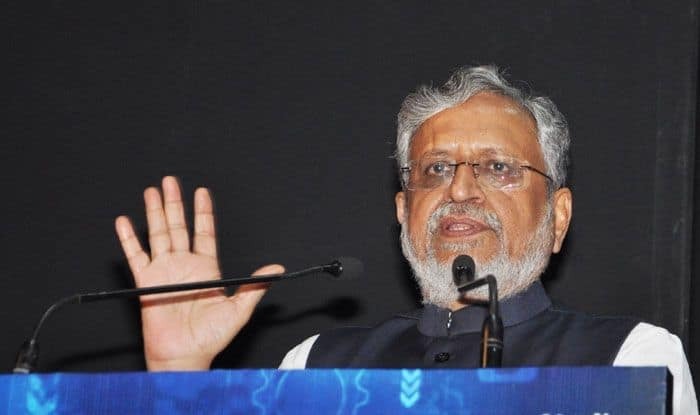 Bihar Deputy Chief Minister Sushil Kumar Modi on Tuesday threatened to file a defamation case against Congress president Rahul Gandhi over his comment that all thieves shared the Modi surname. Sushil Modi’s strong reaction came in the backdrop of Gandhis jibe at Prime Minister Narendra Modi that all thieves had the same surname. “I was deeply hurt by Rahul Gandhis statement wherein he remarked that all those who are chor (thieves) shared the Modi surname. Besides insulting the Prime Minister, he has hurt me personally as I share the same surname. Hence, I would be suing him for defamation,” the senior BJP leader told reporters in Patna. “I have for long been saying that Sushil Kumar Modi is directly involved in the Srijan scam. If he is so upset over an indirect remark by Rahul Gandhi, let me add upfront Sushil Kumar Modi is a thief. Now let him sue me for defamation,” the RJD heir apparent whom the BJP leader has succeeded as deputy cm, said.